Introduction: Fake news has seen tremendous reach. Conspiracy theories are frequently peddled. President Donald Trump averaged more than 15 false statements per day in 2018. It’s fair to say that America is now in a post-truth era. To many Americans, truth just doesn’t matter as much as it once did. 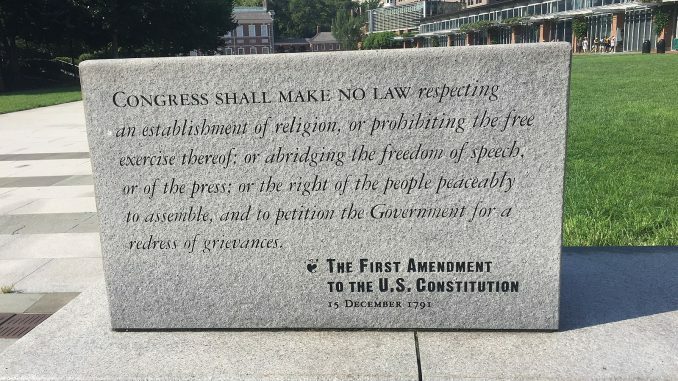 One First Amendment scholar, Sarah Haan—associate professor of law at Washington and Lee School of Law—thinks that post-truthism poses a constitutional law problem with regards to the First Amendment. Haan argues that most people still view the truth as important, but the truth isn’t just the hard facts anymore. Now, some people tend to define the truth by what feels true—regardless of whether the evidence supports it. Haan cited one prominent example in which Newt Gingrich, former Speaker of the House of Representatives, insisted that violent crime was increasing even though a CNN host countered by showing FBI data showed violent crime at all-time lows. How did he respond? “What I said is equally true. People feel it.” That’s the essence of the post-truth Haan sees—a reliance on confirmation bias and raw emotion, rather than hard data. Post-truthism has an impact on compelled speech issues regarding the First Amendment, Haan argues. According to Haan, compelled speech (or government-mandated disclosure) occurs in order to provide listeners “information that speakers to not want to produce.” Laws that compel speech often occur to level a power dynamic at play commonly seen between the listeners—typically individuals that want to be informed decision-makers—and speakers, mostly “large organizations, often commercial actors.” “From the perspective of speakers, disclosure presents risks that the information will attract negative attention or permit merits-based assessments that harm the organization’s interests,” Haan writes. First Amendment experts have now become “increasingly attentive” to such “power differences. So how have courts decided what speech can be compelled in disclosures and what speech cannot be mandated? Haan points to Zauderer v. Office of Disciplinary Counsel of the Supreme Court of Ohio as setting the precedent for whether speech can be compelled. This 1985 Supreme Court case involved an attorney who placed an ad in a newspaper saying that anyone he represented on drunk driving charges that was convicted would not have to pay legal fees—which he couldn’t. Another issue at hand was that the attorney didn’t “fully disclos[e] costs for which plaintiffs would be liable” with regards to another advertisement he issued. Zauderer established the standard that the government can only compel disclosures if they provide “purely factual and uncontroversial information” and in some cases, if it also “functions to prevent consumer deception,” Haan writes. “Because the extension of First Amendment protection to commercial speech is justified principally by the value to consumers of the information such speech provides, appellant’s constitutionally protected interest in not providing any particular factual information in his advertising is minimal,” Justice Byron White wrote in a unanimous opinion, which Haan points to. Most recently, as Haan notes, in the 2018 NIFLA v. Becerra case the Supreme Court saw, the nation’s highest court backed up the controversiality test. 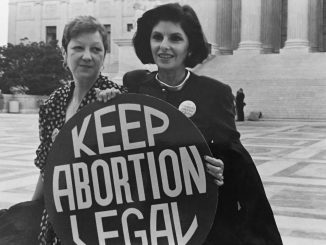 Anti-abortion crisis pregnancy centers were mandated by a California law (that the court struck down) to disclose information regarding how to get abortions from government-sponsored clinics. Haan points to Justice Clarence Thomas’ majority opinion, in which he argues that such a mandated disclosure was “not limited to ‘purely factual and uncontroversial information,” harping on the controversiality of abortion. The disclosure itself was factual, but the subject matter was certainly not uncontroversial. “Where information might upset the status quo, “controversiality” tests work to keep people in the dark,” Haan writes. Ben Leonard is a Trinity junior studying Public Policy. He is from San Francisco, California.